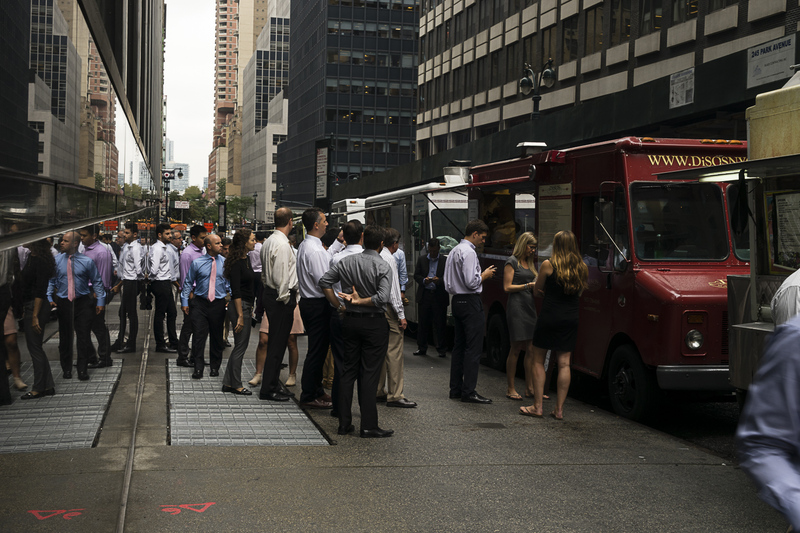 NYC’s lunch foodies love their street food. We search for them, follow them on social media, stand in line for them. Found in almost every borough, serving every type of food, these mobiles of gastronomic delight not only serve to satisfy hunger pangs, they can introduce one to a new cultural experience or rekindle a warm memory of a past adventure. However, food trucks and carts are much more than just the food. They are hard work – the hard work of hopes and dreams held dear by those who invent them, outfit them, and work them. This photo project explores and records the stories behind some of the most popular food trucks and food carts of New York City – revealing the true stars of NYC’s food vendor universe.